Ambient light, thermal gradients, vibration/motion, or electromagnetic radiation can be harvested to power electronic devices. At the same time, all energy-harvesting-based systems need energy storage for times when the energy cannot be harvested (e.g., at night for solar-powered systems). Rechargeable batteries ‒ known as “secondary” cells to differentiate them from “primary” or single-use cells ‒ are usually specified for this task. 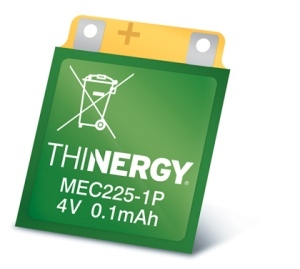 This article will examine the various secondary cell technologies available to energy harvesting system designers looking for a cost-effective and powerful battery solution.